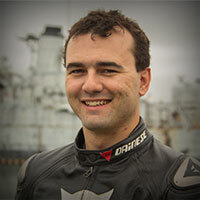 Riding a motorcycle is one of the most liberating experiences in life, for many of us it is why we ride a motorcycle. But with that liberation comes the danger of being injured so we wear lots of protective gear to help us survive if the worst should happen. 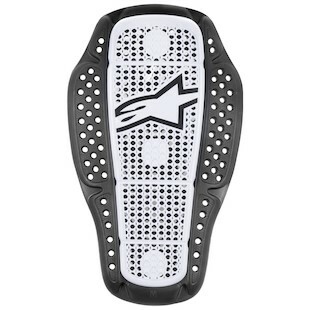 To help us in our protection needs Alpinestars has released a few new protection pieces for 2015. The new Alpinestars Nucleon KR-1i Back Protector is a hybrid which integrates a lightweight hard shell with softer energy absorbing foam. This fusing of materials leads to an excellent soft flexible back protector that will both absorb and disperse impacts away from your back. Helping you walk away from that high side that landed you on your back. but our backs are not the only thing in need of protection. The chest is a very important part to protect, and most Alpinestars jackets have pockets for chest protection inserts. 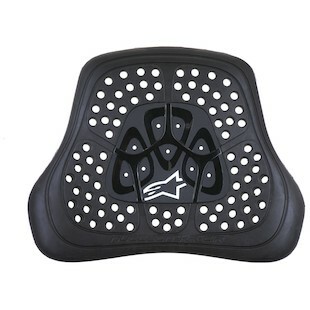 For 2015 they have been redesigned and named the Alpinestars Nucleon KR-CI Chest Inserts. Designed to be lightweight and ergonomically designed to be comfortable in the jacket they even have holes for air flow. A vast improvement over the Bionic chest protection. They also improved the women’s chest protectors with a new shape and the same lightweight perforated design. So the ladies were not forgotten with the Alpinestars Nucleon KR-CIW Women's Chest Inserts. Finally, those who hit the track in a race suit need a little different protection. The Alpinestars Nucleon KR-CIR Race Chest Insert is a one piece design which will fit nicely under a race suit and provide a solid protector. This design helps keep your sternum better protected in the event you hit your chest on something. 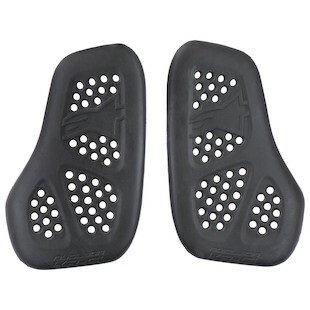 Alpinestars has done an excellent job in updating their protectors for 2015 to make them more comfortable while providing a higher level of protection. If you have an alpinestars jacket, or are a fan of alpinestars gear then the new Nucleon pieces should be finding their way into your jacket. Get out there and ride hard knowing that Alpinestars has your back (and chest).